Helou Construction is contracted for ground floor and rooftop curtain walls, multi-slides, all-glass doors, balcony glass guardrails. 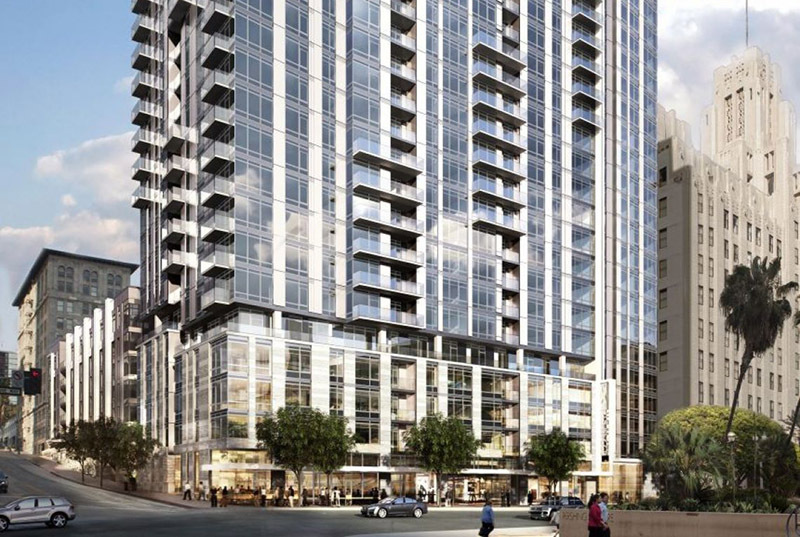 888 S. Hope is a 34-story apartment tower with 6,000 square feet of ground floor retail space and a public park. 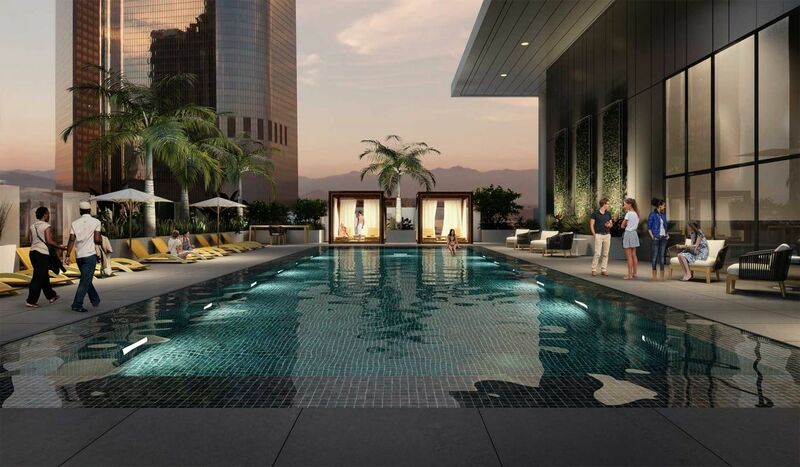 888 S. Hope offers 525 contemporary residences, an outdoor pool, lounge, and recreation and garden areas atop the adjacent parking structure. 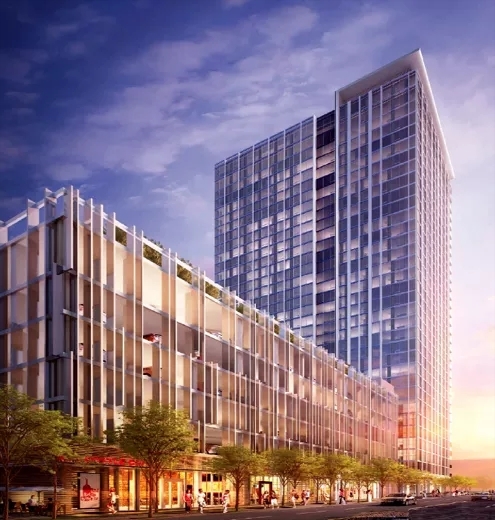 Suffolk Construction has announced the start of work for Park Fifth, a long-awaited high-rise development in Downtown Los Angeles. This is a 24-story, 255-foot building which will create 347 apartments and street-level commercial space at 5th and Olive Streets, directly across from Pershing Square. The project is being designed by Portland-based Ankrom Moisan Architects, and will feature a sleek facade of glass and metal panels. 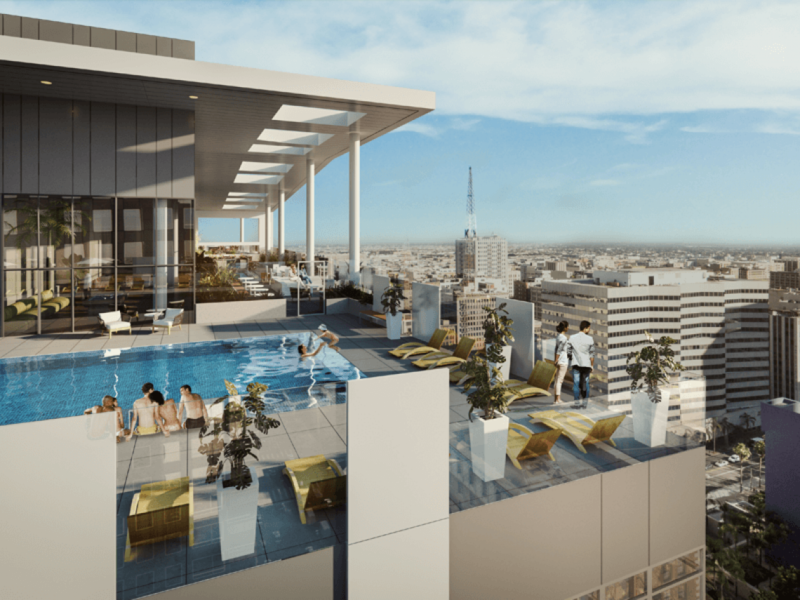 Plans also call for a rooftop amenity deck, featuring a lap pool.